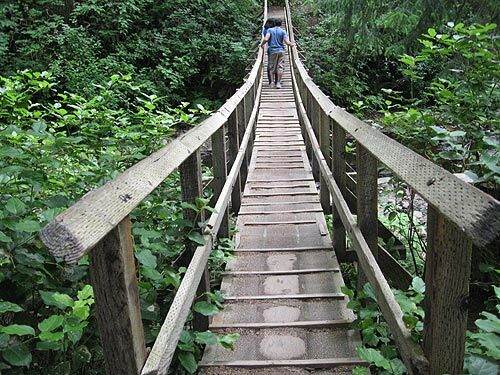 This sprawling, forested oasis runs along the highway for over five miles, encompassing trails through thick rainforests, headlands, viewpoints, campgrounds and some beautiful beach spots. There are day-use areas about MP 39 on both sides of the highway. These allow you access to trails to Short Sand Beach and the 5-mile roundtrip hike to Cape Falcon and its viewpoints. There were a few primitive campsites along some of the trails until recent years, shut down after falling trees posed a variety of dangers in that area. 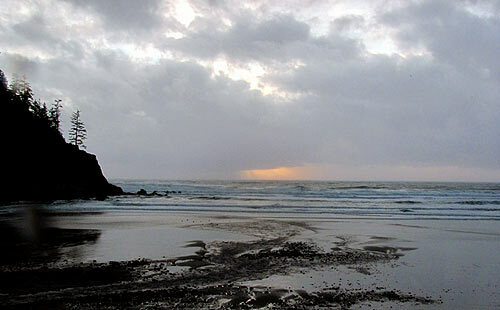 The Cape Falcon hike is part of the Oregon Coast Trail system, and allows you the option of continuing on to Arch Cape - making a total of an 8-mile-long hike. 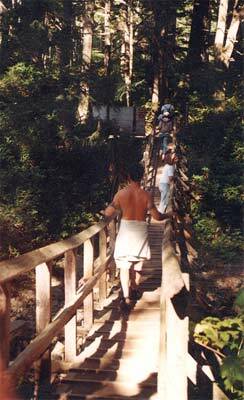 You begin at a tunnel going under the highway, then wind towards the campground and Short Sand Beach. Instead of taking the beach trail, continue north and keep left, eventually - 2.5 miles later - ending up atop the headland of Cape Falcon and its various dramatic ocean viewpoints. Or, you can keep going north along the cape, past three cliff-edge viewpoints, and eventually the trail veers inland to meet up with the small footbridge - about a half-mile from Highway 101, outside of the tiny community of Arch Cape. The park is also the access to Short Sand Beach and Falcon Cove, one of the more popular beaches for surfing on the coast. There's an engaging suspension bridge near the beach.